last weekend was my engagement with mr.asfirdaus asri and family. can you believe it? i'm someone's tunang dah! hahaaha!! and, subhanAllah, the hantarans.. my mom made them herself! i bought the gifts and she decorated it so beautifully, to the point that some actually thought we hired someone to do it. it's really that gorgeous!! as i was getting made up by faressa, and when i saw the watch was showing that it was nearing 3pm, i became ecstatic and restless! terus jadi hyper! kesian my friends, terpaksa layan i. hahaha! when they arrived and when i saw satu group pakai purple gelap (their theme colour) terus perut macam buat somersault swimming freestyle flip turn. amboi lah. jadi nervous pulaaakk! hahaha! but it was only momentarily. the guys in my family clearly entertained by his jokes! 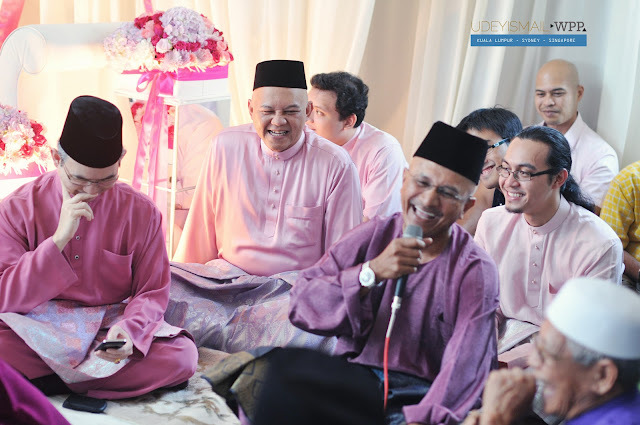 my uncle as my family's spokesperson evidently making everyone laugh (tgk tok as!) hehee! thanks babo! and so, after everything was agreed and settled, as's mom placed the engagement ring dan secara langsungnya saya menjadi almost-daughter-in-law beliau. teeheee!!! 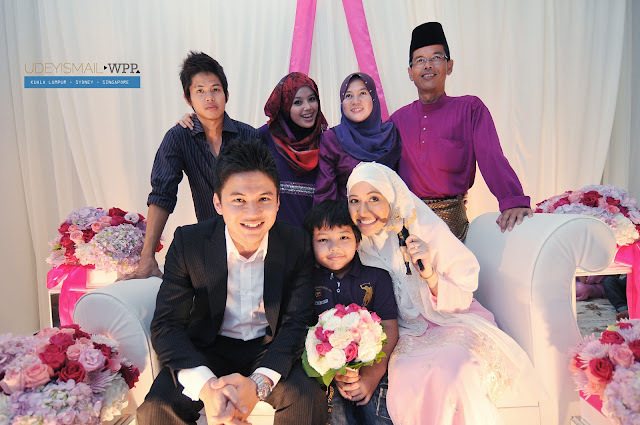 insyallah soon, they will be my in-laws! all in all, it was a pleasant day. cuma after the whole thing, i didn't mingle much with asfirdaus's family.. i feel bad about it still. i wanted to talk to them but bila dah depan muka, i jadi segan macam entahpape. i memang ada weakness tak reti nak strike a conversation with aunts/uncles yang tak kenal.. in fact, i memang tak reti nak small talk! if they're above my age group, i jadi gagap. 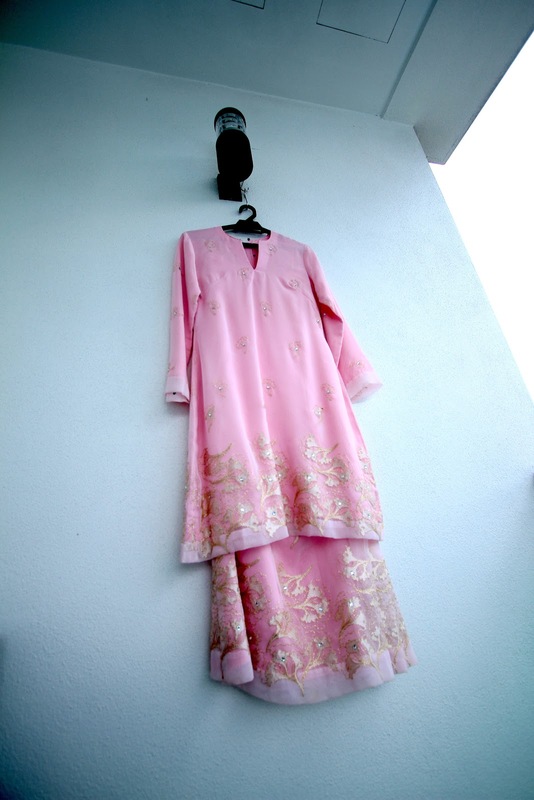 motif kan? haihhhh.. takpe. i have 1 year to redeem myself!! ahak! alhamdulillah, Allah swt had granted a lovely day! everything went well, the food was good, the decorations were amazing, asfirdaus and his family arrived safely to our house and back to theirs, and asfirdaus and myself are now happily engaged! nikah. a start of a new chapter in our lives. before i end this post, here's an AWESOME video which basically summarises the engagement! 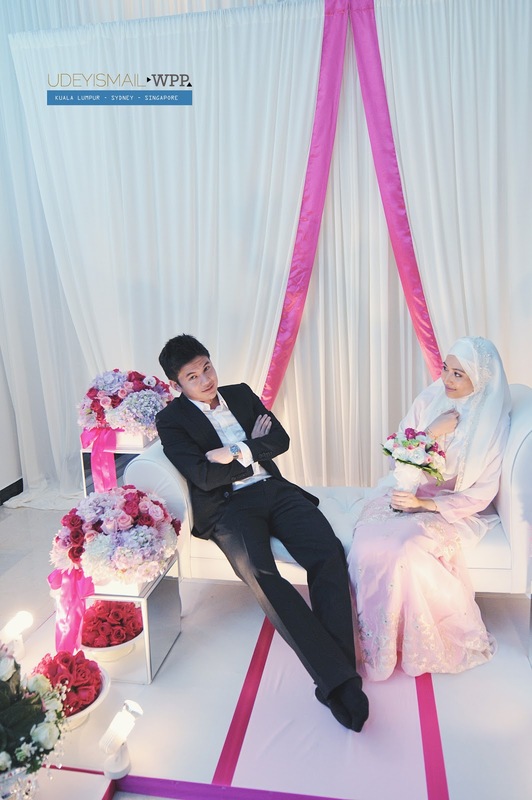 Maria Elena Zarul & Asfirdaus Asri Engagement Ceremony from Shafiq Zamri on Vimeo. thank you all for your amazing support and well wishes!! that was an awesome engngament! congrets kak maria, may Allah bless both of u.
love it! congrates sis maria!!! OMG!!! !~ congrtas ... you look sooo lovely! congrates kak! moga cepat kawin! tahniah for u sis ..
ALHAMDULILLAH kak ena! Turut bersukacita, don't forget ucap syukur pada Allah..
salam to dato' and your big family. 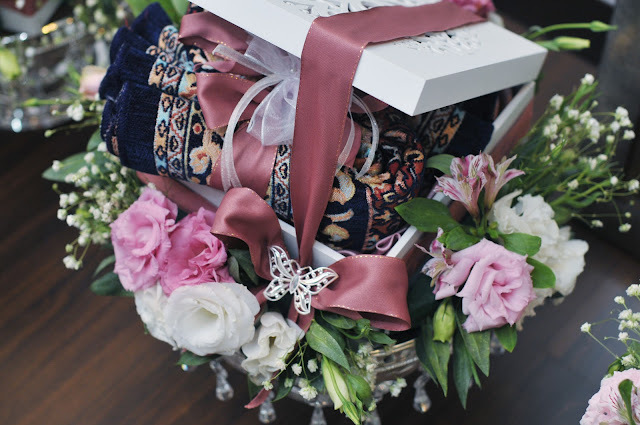 mane pic hantaran dan gift yg digembar gemburkan tu? congrats!!!! hope both of you akan kekal bahagia selamanya. woww! tahniah kak Maria... U look stunning with the baju kebaya.. *kebaya kan? your family is indeed awesome. even your mom! I pulak yg rasa nervous! Congrats Maria!! Btw the baju kurung sangat classic.. n u look so sweet in it..
congrats maria..:) u look so nice..
Tahniah plus Congratx kak Maria. Semoga kekal hingga ke jinjang pelamin, ke anak cucu. saya suka gambaq sis dgn asfirdaus...sweet la..
congrat kak maria..and u hv awesome family!!! OMG all of the decorations are beautiful! And you're gorgeous laa kak Mariaaaaaa! the 7th pic... guy with dark baju melayu there... I know him.. haha... his mother is my mum's cousins... dr jauh la kan... hehe... so, we are family la..welcome2!! Congratz maria! serious gmbar dia ohsem gila. sape photog??? >.<"
hey MARIA SELENA GOMEZ dah jadi tunangan ASBIEBER dah. *spokesperson(your side),is he hunny madu's babo? tahniah !! u are awesome!!!! Tahniah to both of you.. shomell je sume..
Tahniah kat maria!!! Ble wedding?? owhh~~ x sbr!! oooooooo my. 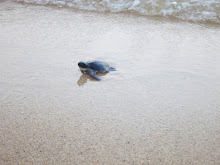 kerlas gilak!the video, the pictures. terbaik. p/s: semoga Allah permudahkan apa yg kita rancangkan......aminn..
btw kak maria you look super gorgeous lahhh! both of u so gorgeous..
Congrats sis..may Allah always bless both of you..